This tour of Procida consist of a walking tour in the first part of the day followed by a tour in typical Procida tuk tuk. 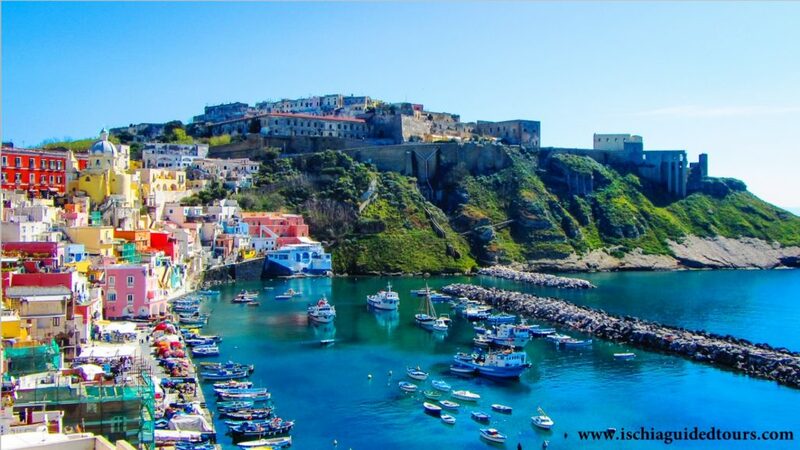 The tour starts from Procida port of Marina Grande (pick up from a different location available on request) and we reach on foot the highest point of the island of Procida, “Terra Murata”, with the abbey of San Michele Arcangelo from where you can enjoy the view of Naples, Mount Vesuvius and the island of Capri. From Terra Murata we walk down to the village of Marina di Corricella with its colorfoul houses and the traditional fishing boats. 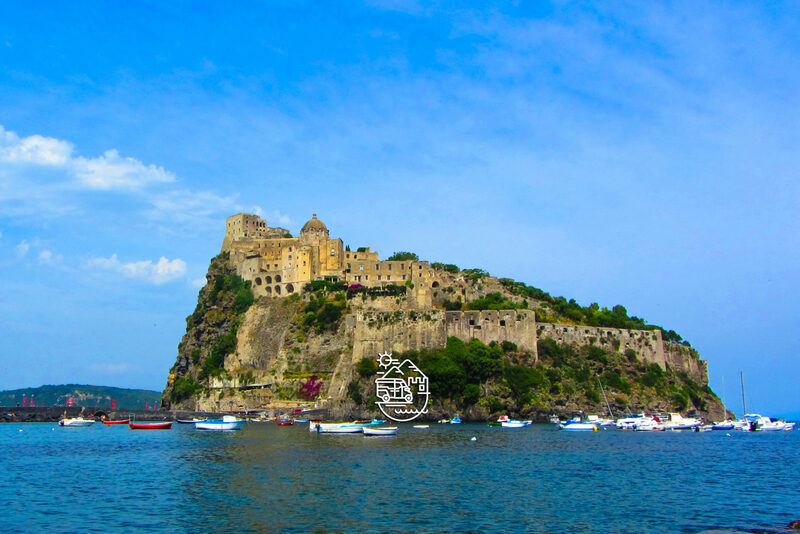 After strolling around Corricella, with time for coffee or an ice cream, our micro taxi collects us to drive us to other panoramic points of Procida such as Pizzaco, The Postman beach, Solchiaro and Marina di Chiaiolella before ending back to Marina Grande port.